Following our successful courses last year, we are delighted to be able to offer a series of linocut courses with Alexandra Buckle for 2019. 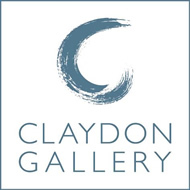 Alexandra has exhibited widely, both locally and nationally, and is a regular exhibitor in Claydon Gallery. 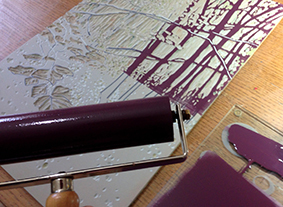 On this course you will learn how to plan a design and transfer it to the lino; how to cut the lino; how to ink up the lino and how to print it by hand. This way you can easily replicate the process at home with minimal equipment. You will also learn how to correctly register your prints so that all the layers of colour lay directly on top of each other. She will introduce you to reduction linocut method which is a multi-colour relief printing technique which involves cutting and printing several layers of colours from the same block of line to build up an image. This year we are delighted that Alexandra is running a two day course which will enable you to extend your skills and produce a more detailed print at the end of the two days. These courses are for all abilities and age groups and Alexandra will take you through the process at your own pace.